There is no doubt that many cities all around the globe are establishing their very own startup scene. For Germany for example this is certainly true for Berlin but also other cities like Munich. Still, many of the world’s leading innovations and ideas as well as many of the biggest tech companies have their roots in the Silicon Valley. Why do you think that is? 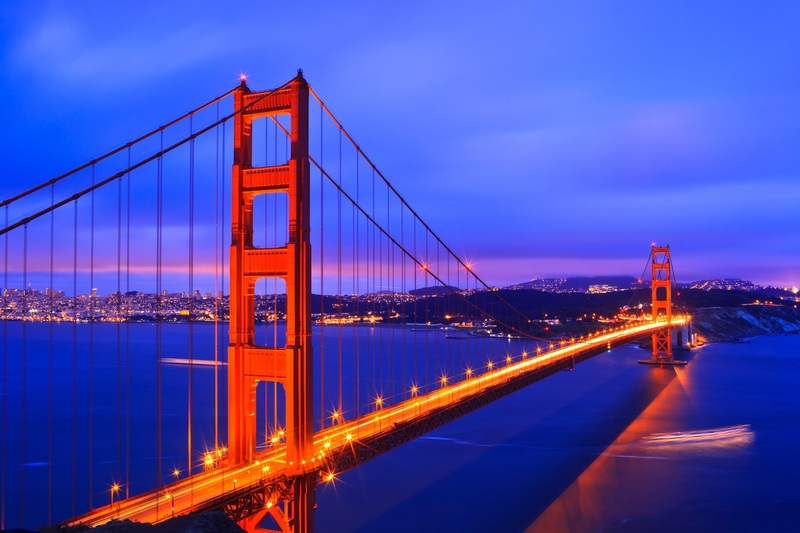 What is it that makes Silicon Valley a special place? Spending time in California last week, I did not only meet very interesting people and engaged in many inspiring conversations. The Silicon Valley also made me think about what kind of culture you need to enable innovation, to encourage people, to make collaboration fruitful and to empower people to trust in their skills and fight for their ideas and dreams. In the Valley, entrepreneurial spirit is part of the local culture. By entrepreneurial spirit in that context I especially mean that failure is not at all a shame. “Fail fast, fail often”, is the Valley’s famous saying. Failure in the Valley is seen as a chance for improvement. Another huge difference compared to Germany is the way people look at change. I feel that in the Valley, change is perceived as something positive whereas in other regions of the globe, people tend to be more skeptical and hesitant towards change. In the Valley, technical innovations like Artificial Intelligence, Machine Learning, Autonomous Driving, a digital Healthcare System or simply Automation are first of all seen as chances, as opportunities. Don’t get me wrong: change of course can bring challenges that we need to master. However, I think that often, we should be a bit more optimistic and confident – no matter whether we live in Germany, the U.S. or elsewhere in the world. Having lived and worked in the Valley for two years, I already had the opportunity to live and breathe the Valley flair. However, this trip was special as I had the great honor to travel in the delegation of the German Federal President Frank-Walter Steinmeier. The three days trip took us to a diverse collection of very interesting places and was full of highlights. For example, we met very inspiring people at Stanford University where we attended an event on the proliferation of artificial intelligence. The trip started in Los Angeles where Federal President Steinmeier inaugurated the Thomas Mann House, the place where Thomas Mann used to live, bought and renovated by the German government, now designated for a lively transatlantic dialogue: researchers and thought leaders can spend some months as a fellow strengthening the relationship between the US and Germany. According to Federal President Steinmeier, joint efforts for the future of democracy is what holds the Western World together. Visiting the Silicon Valley, we had great conversations not only about tech companies, startups and innovation, but also about the future of democracy in the era of digitalization and artificial intelligence. 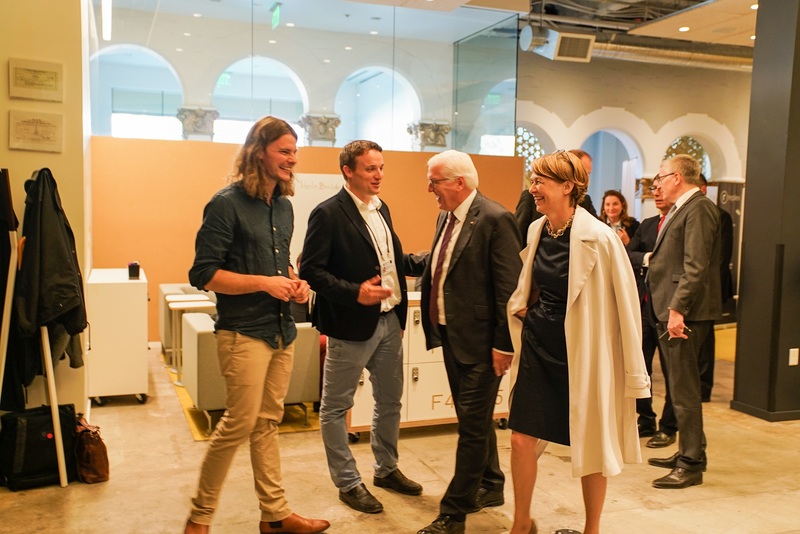 On the last day of the delegation’s trip, Federal President Steinmeier visited our HanaHaus in Palo Alto, right in the heart of Silicon Valley. Instead of selling software products or promoting related services, the HanaHaus provides the community of tech innovators with an inspiring meeting environment. It’s a co-working space that is open for everybody: founders, startups, investors, students, creatives, freelancers, researchers. Federal President Steinmeier engaged with several startups discussing what is needed to make innovation grow. After the delegation’s trip, I stayed in the Valley for two more days and engaged with our new colleagues at Callidus Cloud – very inspiring conversations and amazing insights into the world of customer relationship! It was my pleasure to welcome the colleagues to our ever-growing SAP family. Finally, I visited Newport Beach, Orange County, where we will open a new research center in close collaboration with the University of California Irvine. Orange County is a budding region that’s on the cusp to a major industry transition. Startups, venture capitalists, students, and developers are quickly flocking there, not only for the appealing quality of life, but also for the rapidly growing opportunities for innovation and emerging technologies. Known for its pristine beaches and laid-back Southern California lifestyle, Orange County is quickly becoming a destination for an attraction of a completely different, and somewhat unexpected, kind: technology innovation. As our Co-Founder and Chairman Hasso Plattner announced at SAPPHIRE NOW 2018, SAP is one of the first enterprise tech companies to invest in, and fuel, Orange County’s leadership in the tech sector with the development of a new SAP office location in Newport Beach that will launch the next generation of innovators in this growing tech community. This is another great example illustrating that innovation and taking the next step needs courage, openness, and curiosity. This similarly applies to founders, startups, and huge companies. The values that are needed stay the same. And in today’s age, values are more important than ever before. We must not let anxiety detract from opportunity. Let’s face the era of artificial intelligence with a bit more Valley flavor: be open to innovation, have trust in your skills, fight for your dreams and ideas. Suzy Kassem said it well: “Doubt kills more dreams than failure ever will.” Please allow me to adapt that quote, even though Suzy didn’t talk about the Valley when she wrote that sentence – for me this reflects my learning from last week’s trip perfectly fine. No matter where in the world we live and work – some more of the Silicon Valley flair often would be healthy for all of us. Very nice post. You write,… ” innovation and taking the next step needs courage, openness, and curiosity” . I could not agree more and it is something I embodied for a decade leading projects in the SAP Co-Innovation Lab Silicon Valley. I’ve observed exceptional project results when teams value both exploration (what we might do) and exploitation (what we will do), operate with a high degree of openness and being courageous enough to cultivate ideas that come from outside. Remaining open to outside ideas means to continuously ask questions and it is all the questioning that helps to make curiosity a persistent habit. SAP in embedded within the Silicon Valley with an unquestionable physical and temporal presence and all of the imagination and creativity flows which occur is woven into the very fabric of SAP and its rich ecosystem. Very interesting article and very true how your environment can encourage or discourage your creativity and success. The biggest problem that I see is that SAP too often is reluctant to make strategic investments in long term relationships with customers. Too many times we disappoint customers because we cant find a few days of staffing and/or are too slow to respond as we are dragged down by administration or quarterly targets. One thing that I would love to hear about are any nuggets of ‘wisdom’ from your interesting conversations.